An application has been filed for a new major capital improvement (MCI), this time for work on building facades. Susan Steinberg, chair of the Stuyvesant Town-Peter Cooper Village Tenants Association, said on Wednesday she just learned about the pending MCI, with residents at two buildings getting notices. At 541 East 20th Street, the work had been completed in in August, 2012. The other building is 17 Stuyvesant Oval. As with any MCI, recipients of the notices have 30 days to challenge the MCIs or request an extension, the latter of which Steinberg said the TA would like to do. The work on the facades was extensive as opposed to the brick pointing that takes place around the complex from time to time. While Steinberg acknowledged some buildings’ facades were in serious need of repair, she said the TA still wants to review the details of the project, as it does with any MCI. At 541, the work, which management estimated cost over $100,000 would cost tenants $3 per room per month. At this time, the association’s attorney is still reviewing two MCIs that the TA had unsuccessfully attempted to fight through the Division of Housing and Community Renewal. 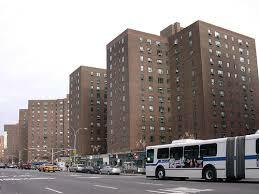 The DHCR had shot down arguments the TA had made against roof and elevator MCIs for some buildings in Stuyvesant Town. Will there be MCI’s for breathing inside PCV/ST? Huh? Why should we be charged an MCI for what is nothing more than repairs? I always thought an MCI was for something new and an “improvement” as in Major Capital IMPROVEMENT, not a patch-up job. I hope the TA is going to fight this tooth and nail, if they can tear themselves away from the ownership pipe dream and devote some energy to these MCI ripoffs.